Home Remedies for Bad Breath has help at hand if you are worried that you might have a stinky breath. And we will, as always, give you simple uncomplicated advice on how to overcome the problem. Halitosis or Oral Malador are also terms used for bad breath, and unless caused by an illness, can usually be eliminated by sensible eating habits and thorough oral hygiene. If you have persistent bad breath, be sure to see your medical practitioner to see if there are any underlying causes for the yucky smell coming from your mouth. Make a paste of bicarbonate of soda and some water, and brush your teeth with this instead of toothpaste. Bicarb neutralizes the acids in which the bacteria that causes bad breath and tooth decay flourish. What is the Best Home Remedy for Bad Breath? 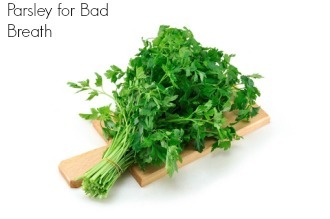 Parsley contains an antiseptic that kills bacteria in the mouth and as an extra bonus for smelly breath it contains one of the riches sources of a plant pigment called chlorophyll, which is a powerful deodorizer. 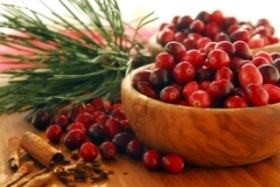 When my Mother (God bless her soul) was very ill with cancer of the bladder, we gave her cranberry juice which is believed to be very helpful against bladder infections. What we did'nt know at the time, and have subsequently discovered, is that it helps for bad breath because it prevents bacteria from adhering to the teeth and since stinky breath is more often than not the result of bacterial build up in the mouth, this makes it one of the really effective home remedies for bad breath. Yoghurt is an amazing foodstuff because it keeps the bad bacteria dwelling in our bodies at bay, by fighting bacteria with bacteria and the winner is...... Yoghurt. Bacteria that live in the back of the throat is a common cause of bad stinky breath, yoghurt will help eliminate this bacteria and allow you to come back smelling like rose breath. 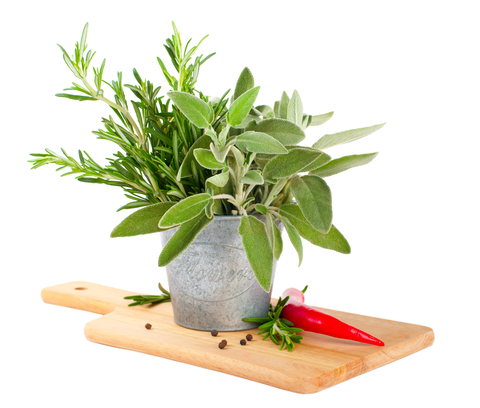 Pour boiling water into a tea cup and add a handful of sage leaves, allow to cool, drain and use the liquid as a gargle. Sage has three different phytochemicals that fight bad breath, one of them been menthol which is well known as a breath freshener. An Apple a day keeps bad breath away. 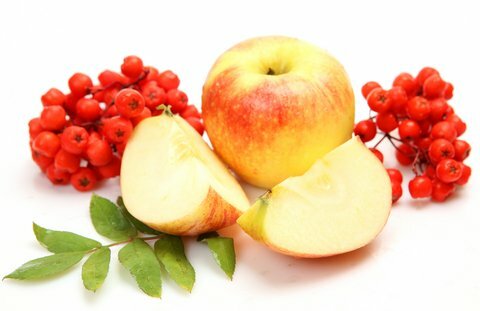 Apples are a natural detoxifier and stimulates the intestinal flora ( the good bacteria) thereby eliminating bad breath which could be caused by digestive problems. And whilst it is doing this it is also helping treat all sorts of other ailments some of them been sinus headaches, tuberculosis, asthma, nausea and worms. Apples are rich in various vitamins i.e. A,B,C and K and the minerals calcium, magnesium and potassium.